The MDX Siblings function will return all the Child members that belongs to the parent of a specified member OR We can simply say, Siblings function will return all the Siblings of a specified member. 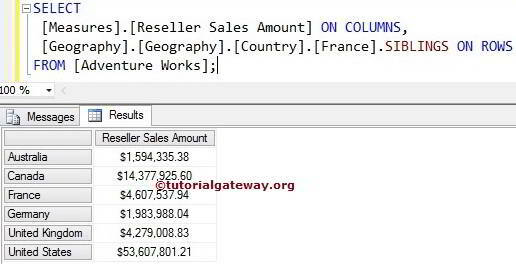 For example, If you know single customer name and if you want to find the Sales of all the customers present in that group then you can use this Siblings function. In this example we are going to use Siblings function to find the siblings of a France Country. 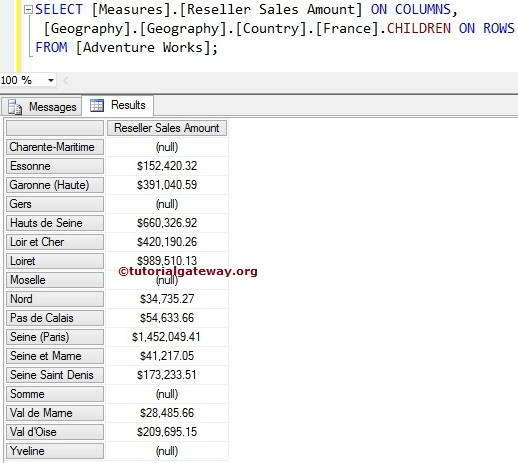 Below line of code will check for the France parent (Which is All member) and then displays all the child member of the Country. If we know the Loiret is one of the state in France and our intention is to find the remaining states present in France then, we can use this Siblings function. 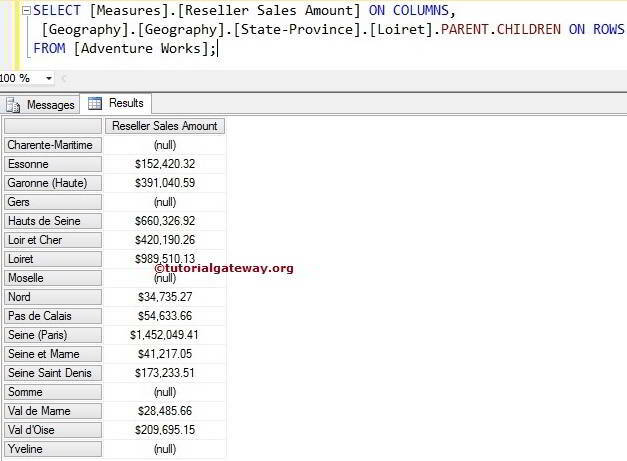 In this example we are going to find all the Child Members present in the State Province list and calculate the Reseller Sales Amount of that. 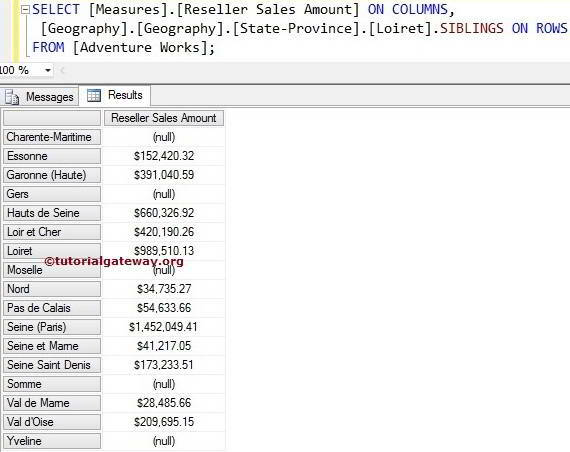 In this example we are going to use the Siblings function alternative to achieve the same result. Please refer MDX Parent Function to understand the Parent function and refer MDX Children function to understand the Children function. Multidimensional expression will first implement the Parent function to find the parent member of a [Loiret], Which is France. Next, It will implement Children function to find all the Child member belongs to the France Country.